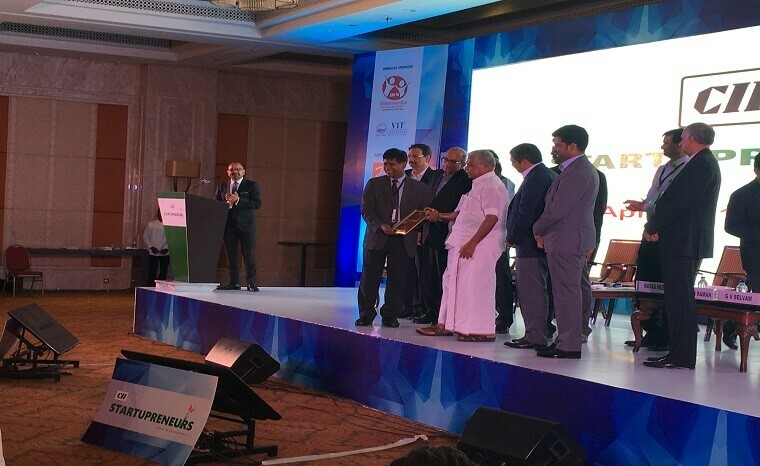 The third edition of the Startupreneur Summit organized by the Confederation of Indian Industry (“CII”) in Chennai on 17th April, 2017 was all set to demonstrate how Tamil Nadu’s startup community is flourishing. Aimed at reinforcing support for local startups and recognizing those which had achieved significant traction, the summit invited startups which had uniquely improved customer experience by addressing a core problem across business segments. CII’s organizational prowess was on full display considering it had put together an ambitious action packed agenda aimed at leveraging this unique opportunity for shortlisted startups to showcase their achievements, listen to industry stalwarts and more importantly – pitch their business to investors for funding. Keynote speeches and panel discussions brought out the flavor of India’s growing startup ecosystem – right from emerging business models to new paradigms in technological advancement embedded in design thinking and artificial intelligence. At Monexo, we were extremely excited to have been shortlisted for recognition in the fintech category – a space that is fundamentally opening up smarter, more efficient ways for customers to invest, borrow and pay for services. Positive reception from both the audience and investors reaffirmed our belief in the ability to leverage our Peer to Peer lending platform to ultimately transform the domestic credit landscape and build a dominant two sided alternative lending marketplace. The platform provided by CII enabled us to closely interact with other shortlisted startups and bounce off ideas for collaboration while also providing airtime with investors who were specifically interested in investing in the financial services space. Fund-raising workshops and open-house discussions to address key issues related to scale and profitability only further added to the enriching experience. A massive, blockbuster announcement soon followed with a senior representative from the state government announcing plans to establish a INR 500 crore startup fund dedicated to foster the entrepreneurial spirit in the state. 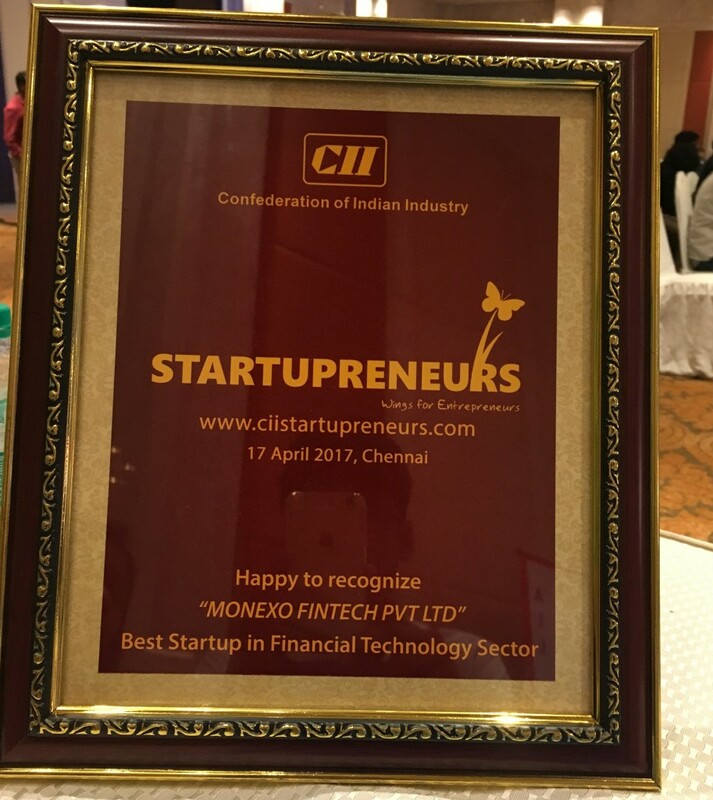 The awards ceremony later in the evening resulted in another key milestone for Team Monexo as we walked away with the ‘Best Fintech startup’ award – a recognition which will propel us to continue focus on key strengths even as we roll out exciting new features on our platform for customers. At Monexo, we want to reimagine how we can build a new era of consumer finance in India’s thriving sharing economy – with tangible benefits for both borrowers and investors. We thank CII for this unique opportunity and it’s continued focus and commitment to nurturing entrepreneurship in India through increased collaboration between the startup ecosystem, industry and government.